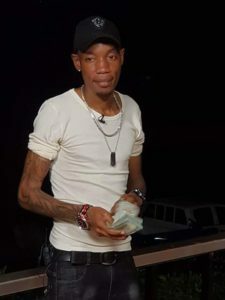 Tycoon Bryan White. File photo. KAMPALA–Brian Kirumira aka Bryan White’s woes seem to be increasing after police today (Monday) denied assigning the city socialite guards. Bryan White has been moving around with four armed police officers. He was picked up last week for shooting and injuring Victor Bitwire, outside his home in Buziga, a Kampala suburb. A police search in his home led to the recovery of a police rifle. Two officers attached to Kabalagala Police Station have since been arrested in connection with the incident. The two officers were part of Kirumira’s security detail. However, police spokesperson Emilian Kayima said the force has never assigned Kirumira any police guards since he has never made a formal request for security. “There is no deployment as to the effect of guarding Bryan White. Whoever was involved will have to explain how they got there. Some are already in custody,” Kayima said. However, it is still uncertain why Police had remained tightlipped on the matter. Until his arrest, Bryan White has been moving around with police guards. According to Kayima, Police are hunting for the remaining officers who have been moving with Kirumira as well as guard his homes.